There are several lines in the movie “The Grandmaster” that register with the audience, me included. The one that resonates the most with me is this one – “as long as I have a breath I would light a lantern. When the lantern is lit, people will come.” The phrase is to describe the determination of a Kung Fu Sifu wanting to pass down his or her art to the next generation. Spreading my knowledge on Wing Chun in Taiwan is certainly a key goal in my life. However, since I teach Wing Chun out of a sense of purpose and as an interest, I have the luxury of picking my students. I don’t just accept anyone who wants to learn as a student. Some even think our standard of selecting new students is too high. Sigung Wong Shun Leung also had three types of people that he didn’t want to teach. (note 1) To me the quality of the students is much more important than the quantity. So far, I consider myself lucky to have a group of good students. As their coach, besides teaching them Kung Fu, I deem myself has the responsibility to keep a good learning environment for my current students. Thus, carefully selecting new student is essential. Therefore, if you are truly interested in learning Wing Chun from us, then please let us know more about you. Thus, we can assess whether you will be a good fit with our school. Please write us with your real name, age, Wing Chun or other martial art background that you might have. If we think you are a good candidate, then we would invite you in to watch our class and to have an interview. *Attention: For those who have learned Wing Chun before elsewhere. If you wish to join “Taipei Wing Chun,” you will be required to start from Sil Lum Tao. No exceptions. 1. Do as much research as possible. Although Wing Chun was made famous by Ip Man (and his student Bruce Lee), there are several systems have nothing to do with Ip Man. 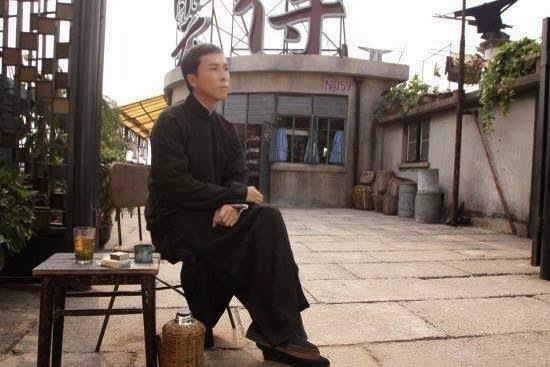 Additionally, Ip Man had many students in his lifetime and their Wing Chun are not all the same. 2. A famous instructor is not necessary a good instructor. 4. If you have the time, go to check out different schools first-hand. 5. Observe the skill level of the students. Even the instructor is good; it is no guarantee that his or her students are good. Some instructors might be very skillful, but they can’t teach. 6. Talk the students and feel the atmosphere. Can you fit in? 7. If learning Wing Chun is important enough to you, then don’t let the distance or tuition to deter you and settle for a lesser school. 2. Sibak Wan Kam Leung’s advice is from Blitz vol. 22 and its author is Groeme Green. 3. This might be a different subject. Normally, most people use "year" to count how long or how much time one has put in to learn a martial art, actually more accurate way to count is to use "hour." For example, two persons learn from a same teacher for five years. One spends 8 hours a month and the other spends 20 or more. What they have learned from the teacher are just not equal. Additionally, a practitioner’s self practice hours are very important, too. 【傳承】《台北詠春拳》認可的教練名單 List of Coaches of "Taipei Wing Chun"